Separating themselves from Monsters and Traps, Spell cards serve a vital function in the Yu-Gi-Oh TCG. Unlike monsters, whose usefulness equate to dice rolls because of traps and rival brethren, and traps, which must be set a turn before they’re useful, Spell cards offer instant satisfaction to the user. With some Spells, the advantage it gives its caster are obvious, others add more subtle influences to the game, and then some only boost certain archetypes. Whatever your taste of Spell, the following list, set in no particular order, highlights the game’s best cards cast in light blue. Card #1 is #1, now and for as long as it’s off the ban list. What’s not to love about instantly destroying all your opponent’s monsters, despite their battle positions? Even if your opponent is running the, "That tickled, sir, I want some more,” Pendulum mechanic, destroying all their monsters with Thor’s might still opens the gateway for some direct lifepoint damage, making this card, if conserved mid to late game, a game ender. While it’s loose, fear the Raigeki. Who knew one character could make an entire deck? The writer swears, if this chick becomes a Duel Spirit or gets her own show, he'll become an instant addict to whatever season of Yu-Gi-Oh! / show she premieres in. 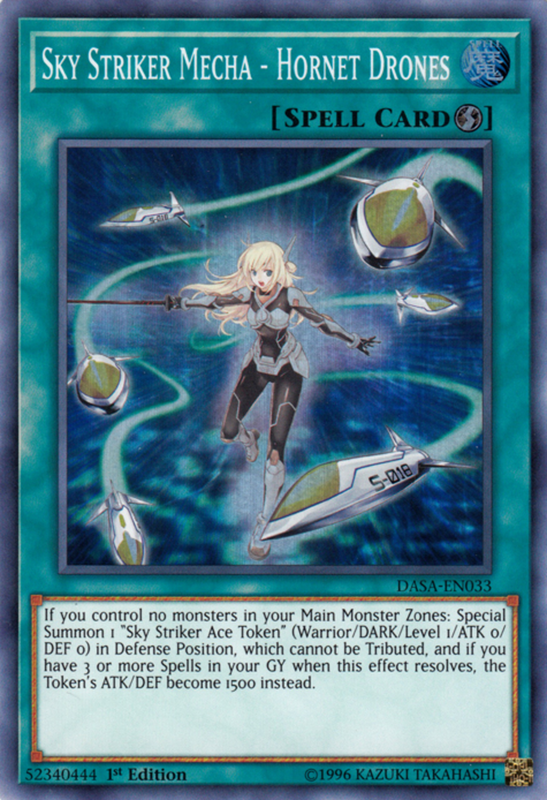 The Spell Strikers are, without a doubt, one of the strongest and most unique decks the Yugioh TCG has seen in a long time. A pure build can outlast even the strongest meta-decks, and only three monsters are needed for it to run. The non-pure build can be integrated into anything, but out of all the cards needed to outfit our mecha-magical girl, Mecha – Hornet Drones has the greatest utility when stuffed in the corners of any strategy. Inside the archetype, Hornet Drones can start your plays by going into any of your Sky Strikers, and while it’s used outside the archetype, it becomes a quick way to Link into stronger monsters when used alongside Kagari. Hornet Drones maneuvering its way as a vital card in a top tier deck and being a debatable staple in any Link deck earns a solid spot among the best Spell cards. Mystical Space Typhoon, Galaxy Cyclone, and Twin Twisters fought in an epic storm war for this spot, but, naturally two magical twisters beat 1 any day. 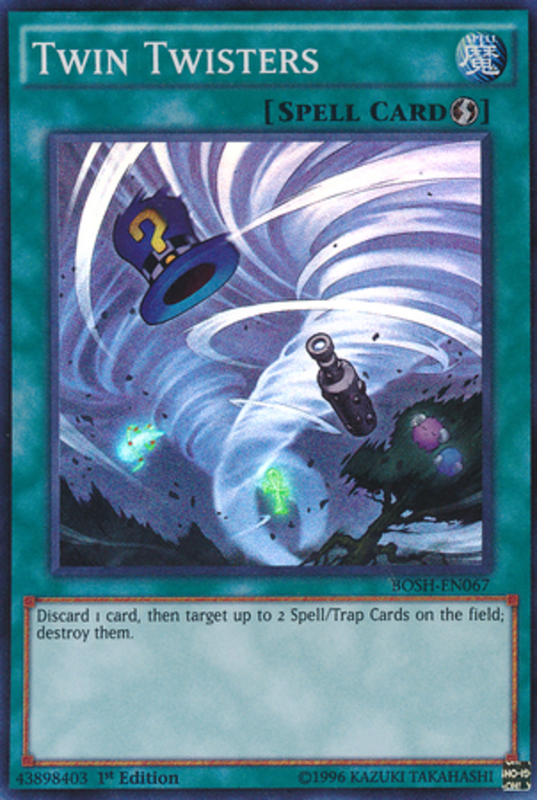 But seriously, Twin Twisters became the new staple of Spell and Trap destruction not only because of it targeting two cards as opposed to one, but also the cost allows a setup for any Graveyard-reliant deck. Non-Pendulum decks have even changed their tactics by setting 1 Trap or Spell at a time, hoping a twin-storm-rider won’t waste their treasured spell. When a card replaces previous staples and changes the way players approach the game, you know it’s made it big. 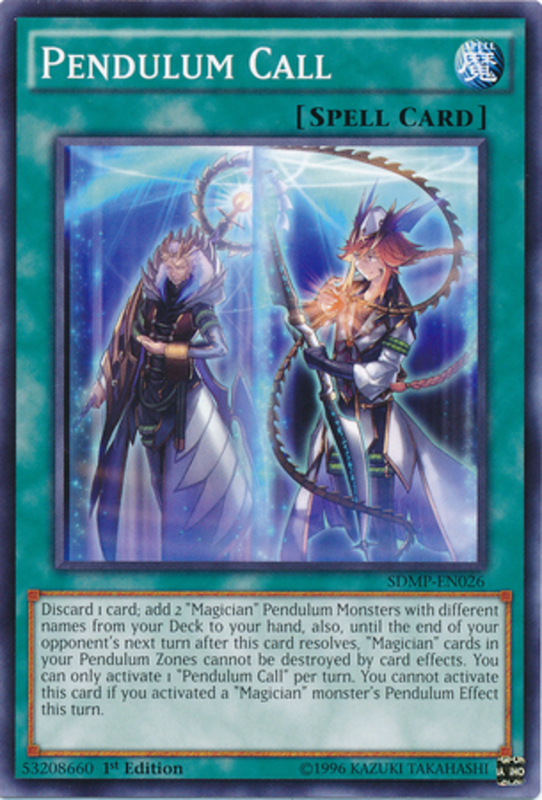 As if Performagicians didn’t have enough support… Slapping the face of Spell-Shattering Arrow and Twin-Twisters, Pendulum Call grants immortality the premier turn your Pendulum-Magicians get played, in addition to searching for two of them. 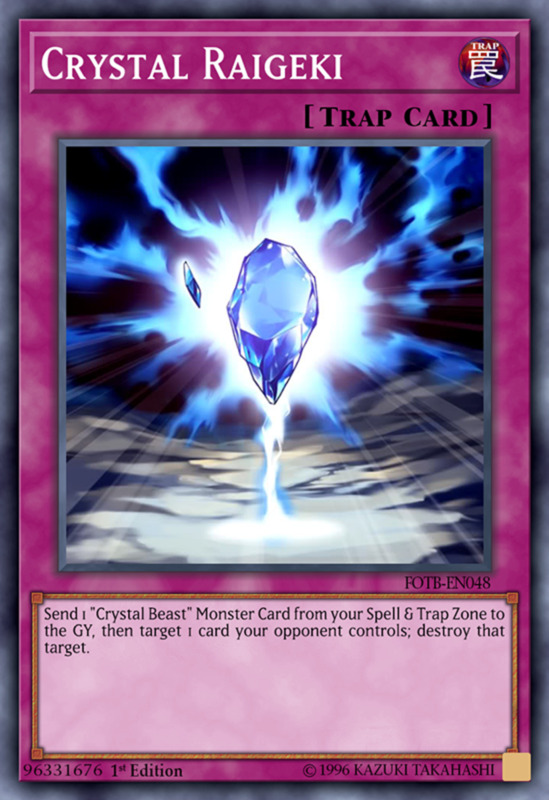 This card enabling a free Pendulum summon the turn its activated gives it a greater fear-factor than Obedience Schooled, and there was nothing scarier than beast-monsters able to gang together before rolling-over, playing fetch, and picking up the bones of their enemies as sticks. Yeah, magicians spawning armies of monsters from the sky is definitely scarier. Look at Dragonvein and Dragonpit Magician up there, so cocky 'cause you can't destroy them. That's okay. There's always next turn. I understand the original artwork was the Egyptian symbol for life, but what is the Western art a symbol of? The writer will give a Yugioh hub topic to the first person who can successfully answer this question with a link. He's serious. 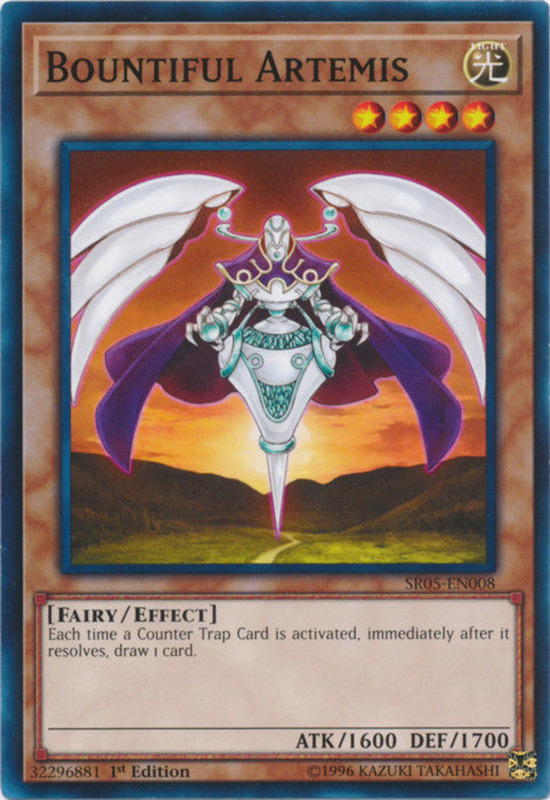 Since the ban of Soul Charge and the revival of Monster Reborn, you would have to ask yourself: Who else would take the top slot in Spell-card revival? 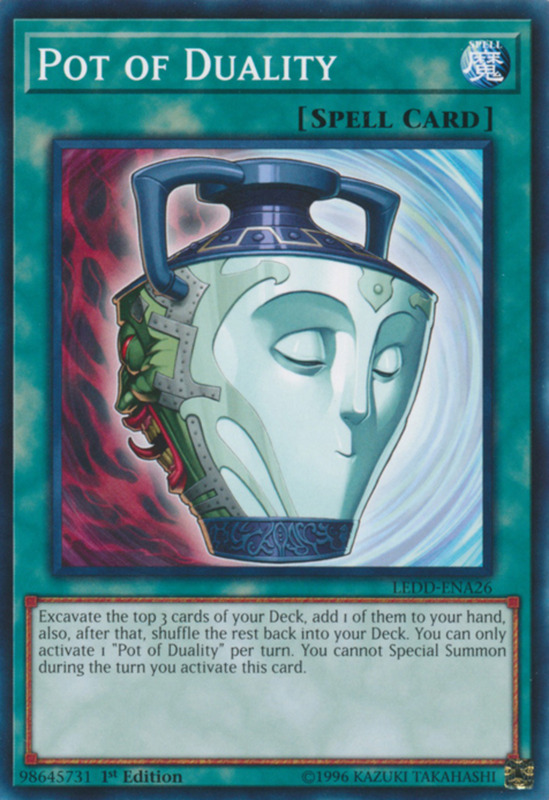 You know what, even if Soul Charge wasn’t banned, this Egyptian symbol for life would still be numbre un. 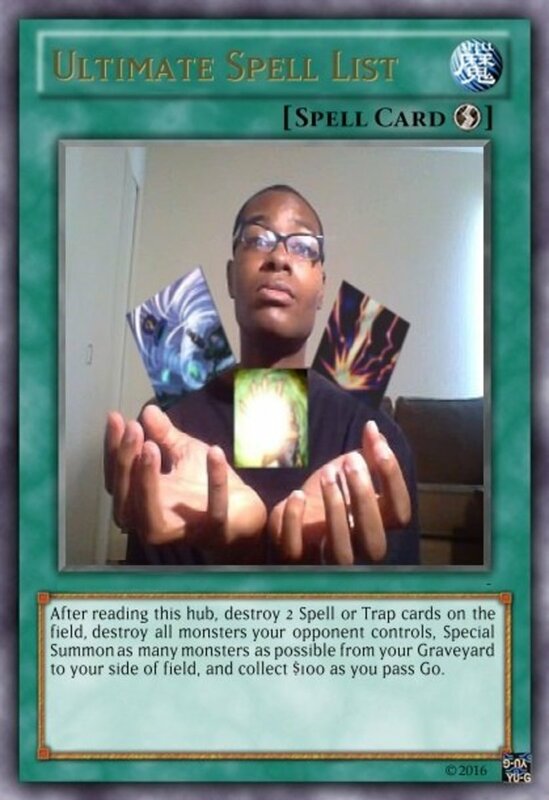 Play this card, revive any monster from any graveyard for no cost. You can still attack, you don’t need lifepoints in the bank, just good, old-fashioned, instant revival. ‘Nough said. Oh crap! What idiot played the Melodious monsters this time? Now the Kaijus are going to sit on everybody! No one will be safe from their 100-ton butts! Welcome to the TCG side of the dueling world, my friend, where the Kozmos attack loop you infinitely and your monsters’ immortality effects don’t mean squat before giant Japanese monsters. This card deals with the latter rather the former, and provides more support for Godzilla’s roommates than Dr. Doom backed by Darth Vader. It’s essentially a Dark Hole that replaces all monsters destroyed with two Kaijus, one on each side of the field, but come one… In a Kaiju deck, any card given to you is as much yours as a poison apple given from a decrepit old witch: you can savor the flavor during your first bite, but in the end the witch will always have the last laugh. You’re losing advantage; your opponent’s getting a monster, and don’t get it twisted any other way. 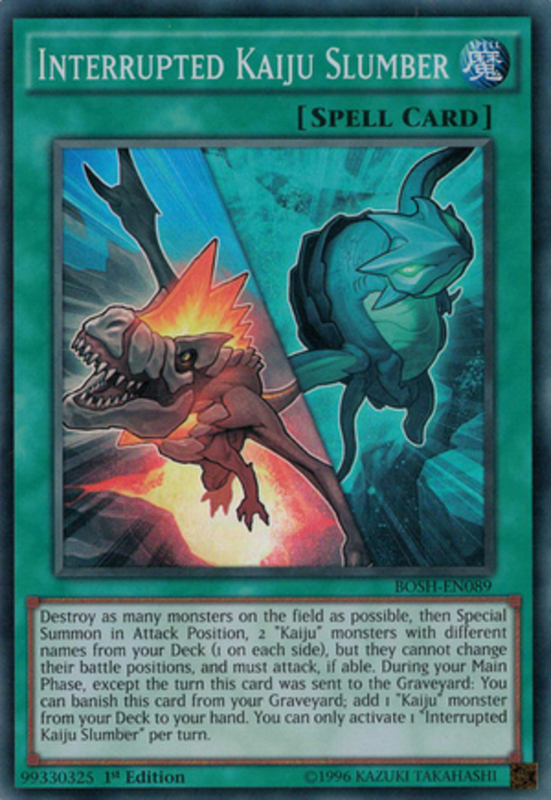 Banishing this card from the grave to add a Kaiju to one’s hand doesn’t help either, making this card, in the writer’s opinion, one of the most underrated cards currently in the game. Kaiju decks will be loyal lovers to this card, while any deck desiring to tinker in Kaijus can now viably do it. You know what's happening in this card? Judgment Dragon is draining 1000 lifepoints to purge the field, and this guy's loving his front row seat. Look! You know it; I know it: The Lightsworns are craaazzzyyy. 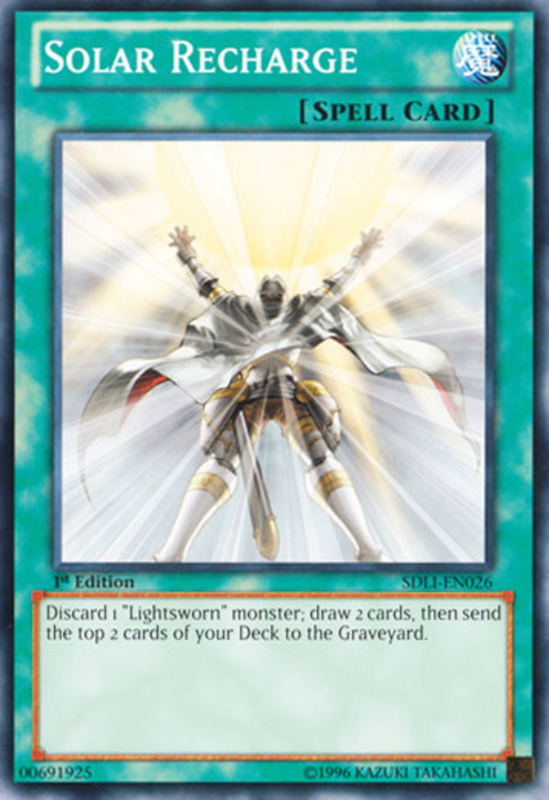 So many different types of draw cards exist in the Yugioh TCG, most players would consider it impossible to choose one to stand above the rest, or at least grant each one its own merit for what it does for its respective archetype. Some draw Spells sacrifice hand advantage for a gain (Allure of Darkness, Trade-in, the ever-now-abused Card of Demise), some sacrifice field advantage (Advance Draw, Magic Planter), and then others sacrifice game mechanics for a turn (Pot of Riches, Pot of Duality). Out of all these, the writer still believes Solar Recharge dominates the kingdom of drawing. Why? Because, in its respective archetype, you’re not losing anything to use this card. 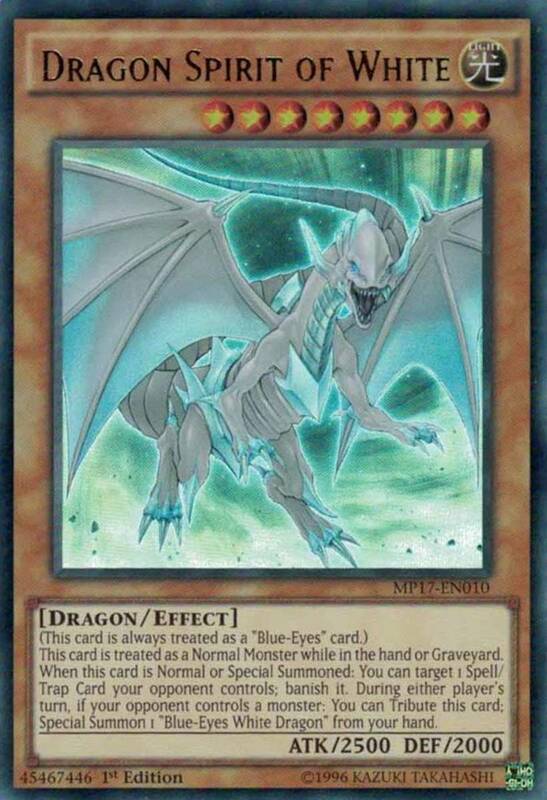 Aborting a Lightsworn to the grave fuels Judgment Dragon’s rage, drawing gives one hand advantage, and sending cards from the deck to the grave brings its poster dragon even closer to gracing the field and can even bring a Wulf or Felice to one’s defense. You may be netting 0, but no other draw card subtly influences the game like this one, making it the most powerful draw card you’ll laugh at until a gang of self-righteous dragons blow your field away before mauling you for game. 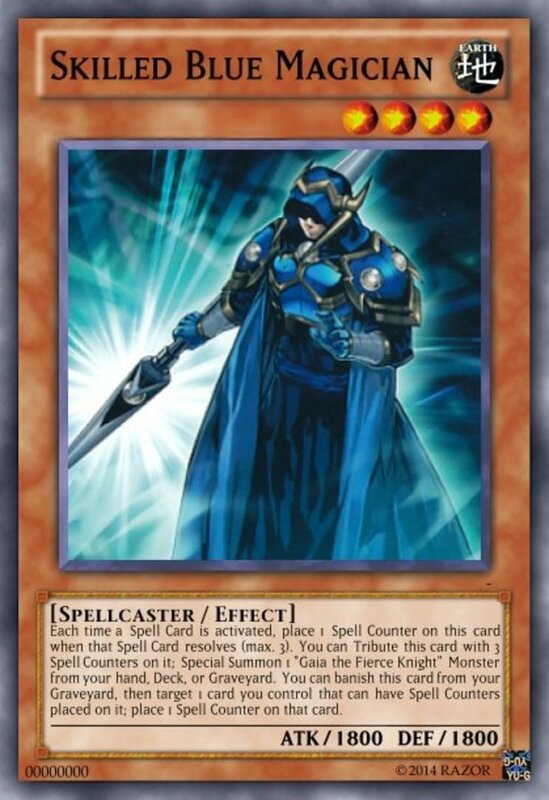 It’s pretty obvious somebody is fanboying hard over the Dark Magician to make every piece of his equipment a card. We have Magician’s Rod, Magician’s Robe, his Magic Circle… All we’re missing is his shoes, socks, and maybe his underwear. 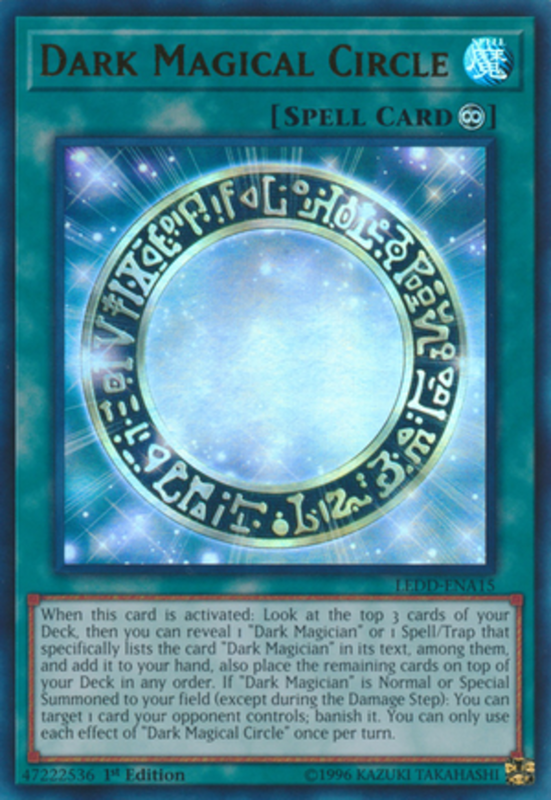 Jokes aside, Dark Magical Circle is a Spell card you’ll want to take seriously. Playing the card allows one to search the top three of one’s deck for a Dark Magician card, and then to rearrange the remaining cards in any order the user desires. The other effect, arguably the more annoying one, allows one to target and banish a card when a Dark Magician is summoned. Sure, the effect may only be one per turn, but a Dark Magician deck summons its star act more than Pein from Naruto’s Animal Path. Plenty of Spells generate fear in a Dark Magician’s bag of tricks, but Dark Magical Circle’s ability to be the most frightening among the feared earns it a crown in 2019. There, Konami. Fixed that for ya :P.
It’s a cruel, harsh time for duelists, my friend. Every move you make, every card you draw, every attack you declare must hang tightly on your tongue with shallow breath, for the dueling world has become in the grip of zombie lolis. They lurk over your Extra Deck with a scythe against your monster’s throat, they sit gloatingly in their haunted mansions and wait for you to rescue one of your fallen brethren from the cold bosom of the Earth, they dance around in the spring and laugh as you attempt to call for reinforcements with a bloody, broken hand, and soon, they’ll sit emotionless, apathetic beside a hell hound, daring you to assemble your army for an assault. There was no escape from their influence, no safe haven from their control… Until a green, zombie hand said, “Enough is enough.” Adorned in modern papyrus of blue, the Green Hand created a resistance against the zombie lolis by sealing them and their power before they could halt your advances on their dominion. Beside Rogue Commander Neo Spacian Aqua Dolphin, the war has begun. Until the Duel gods intervene, or the Art of War evolves further to reveal a new despair, the Green Hand will prove the best Spell counter against the Empire of Zombie Lolis, and one of the best allies a duelist will need to survive. Once you see the new king of Field Spells, your primal reaction of dread will be enough proof for its spot on this list. Let’s see: It grants all monsters in its archetype, the True Kings and True Dracos, a 300 attack and defense boost. The first time one of its tribute summoned wyrmies is destroyed by a battle, it is not destroyed. 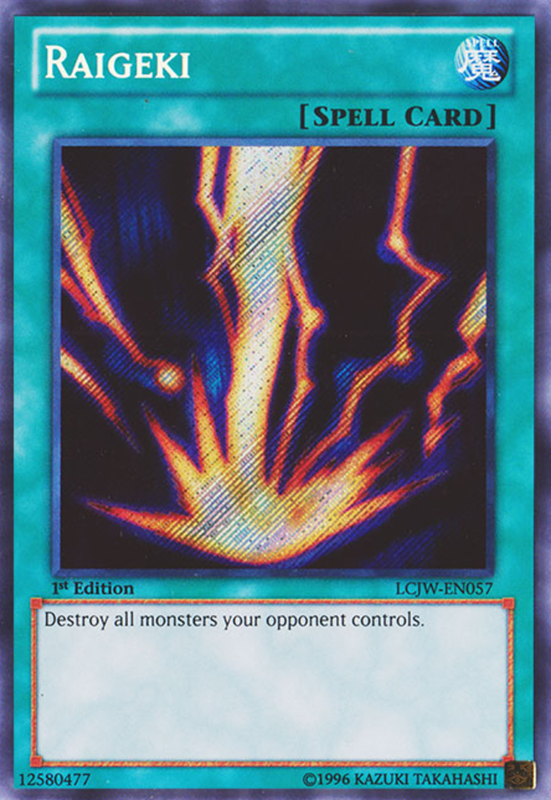 Oh, and what’s this… You can destroy a card you control or in your hand to add a card… Does that say monster only? Let me adjust my glasses. Spell or Trap? 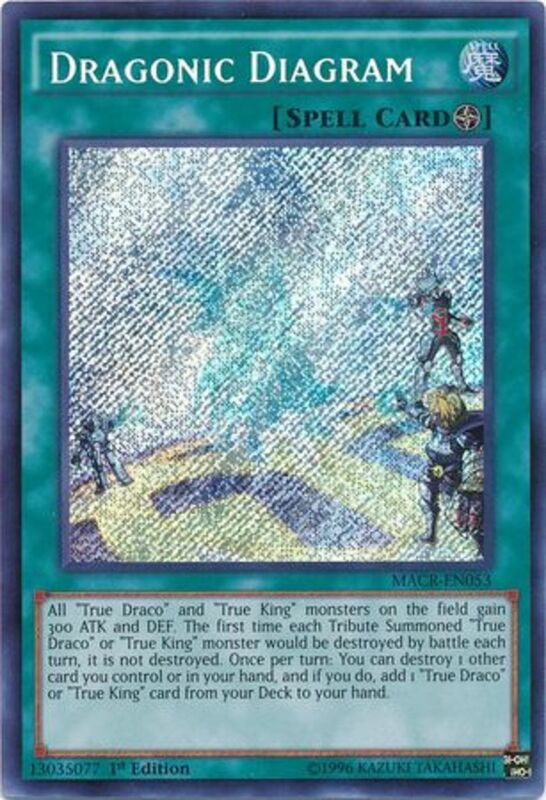 No, that says “True Draco or True King card from your deck to your hand.” Sigh… Okay. Hmmm… Nope, no “This effect can only be activated once per turn, and only once that turn” here, so that means you can keep stacking these guys and destroying your monsters like your Bomberman getting hell mail. The writer will end this here. Nothing more needed to say. Which Spell card outcasts the others? Was the Egyptian symbol for life... now I'm not sure. Magic Circle that text reads: "Who da man? The Dark Magician's the man! Who da man..." In a loop. Yeah, it does limit its' use with Twin Twister being a thing, which is why I only run one when I need my Worm Zero at 3k for a turn or so. Could also be used as a distraction from my other important set cards, I wouldn't mind if my 6 materials get tossed in the graveyard for nothing, afterall I'm running my deck at 45 cards, any form of milling is welcomed for my geekos. Last thing I should mention on why I find Twin Twister better compared to Raegaki: Simply put, that card is bloody expensive, and for my deck isn't worth running due to the IRL price tag. So I found a way cheaper substitute that has the same effect but is seen as a double edge sword: Dark Hole. I personally don't mind if my cards get sent to the graveyard along with my opponents, usually it would mean things went south and playing it would be a life or death situation. 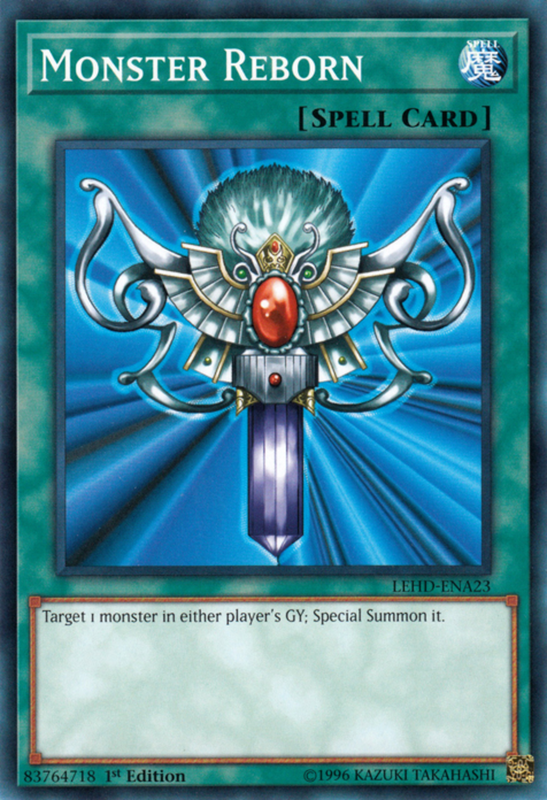 Once again, it can also help my deck since I'll have more units in my graveyard to special summon or banish via other cards effects on the field. And sometimes, I won't have any monsters at all so it can still act like Raegaki when played! As for what you mentioned in your rant, well yeah, this game isn't perfect as it has it shares of power creeps or cards that outclasses others, but I don't let that get to me since I was happy to put together a deck on the fly which I was familiar with. 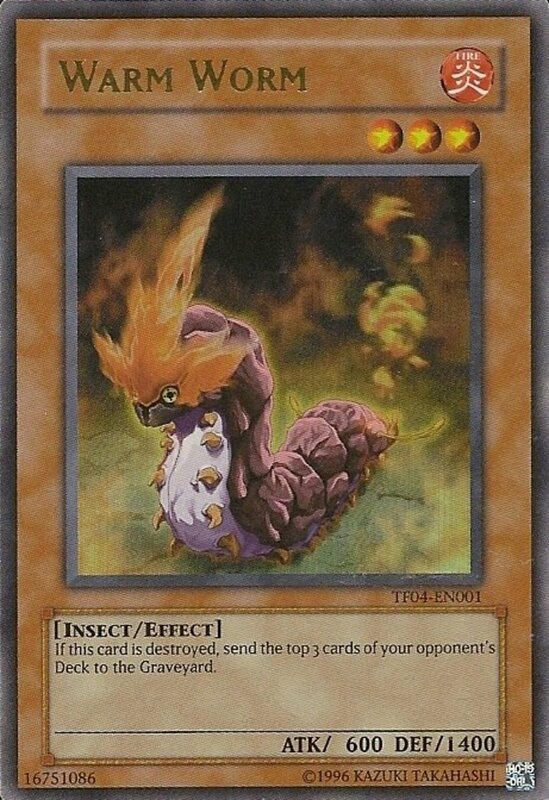 Looking at Subterrors, they definitely seem to be the new Worm type of deck. Not gonna change my deck anytime soon tho for budget reasons, tho the Link monster could be handy from time to time, so I might as well throw those in if I'm to stay relevant. Most importantly tho is to have fun, being able to make old cards work in todays meta can be a fun challenge. But I'm gonna end my conversation right here since I'm also getting off track from the topic at hand. Hope to see you in another post! Thanks for the comment, SubjectBosco! I think it's great they unbanned Future Fusion also, but I wish they didn't spread it's effect over three turns. I mean, we have Spyrals that search like they're playing the National Championship for Where's Waldo, the True Draco's that are immune to everything, and don't even get me started on the Odd-Eyes... To me the card wasn't that broken, considering today's meta. And since they made That Grass Looks Greener, they... they just had no excuse. But enough of me ranting. I agree Twin Twisters is an amazing card that can serve multiple functions. Definitely a winner in my book, and Burial from a Different Dimension has a seen a lot of play in Zombies lately. Again, thanks for commenting. Like what Jeremy spoked in class today, Future Fusion and Swords of Revealing Light are nice honorable mentions, I'm so glad FF is no longer banned, it helps in my Worm deck when I need to call Worm Zero, getting 6 different Worm Reptile monsters as Fusion material is next to impossible if I want to have his skill to have a free draw. 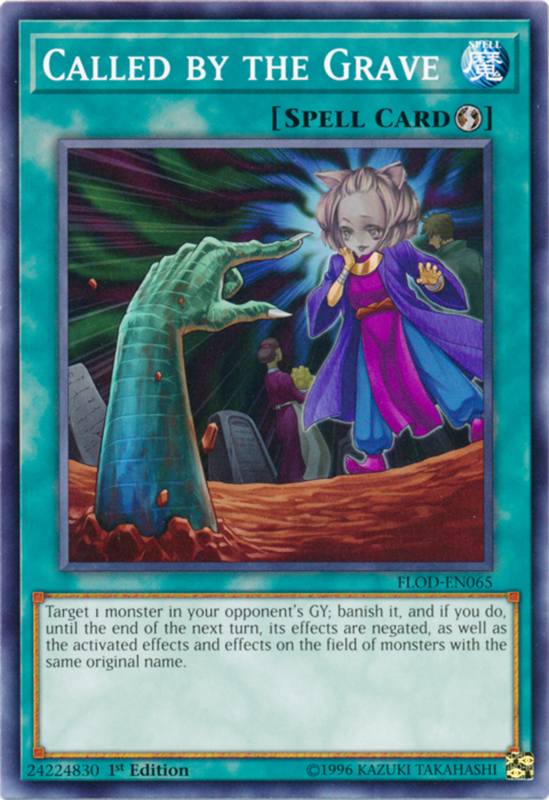 But in my opinion, Twin Twister is hands down the best for me, it's like the Spell version of Offering to the Snake Deity (For Spell/Trap cards only tho). And Burial of the Different Dimension is quite good, helping me fishing back important cards like Worm King or recycling my fodders for Zero or Tentacle. Ultimatedefense: Yeah, Raigeki is more annoying than accidentally touching an ungrounded refrigerator and an oven (it... really hurts), but one word describes why they returned it to limited while semilimiting Dark Hole: Pendulums. Even with Links evening the playing field a bit more, when Pendulums were at their prime, unless you popped the Scales, Raigeki didn't do much. What annoys me is they created a mechanic (Pendulums) and then overthrew it with something new (Links), instead of doing... something else. But that's a story for another day. Sure, man! You can contact me at mistavian87@gmail.com (My creative's email). I'll accept any advice on improving good ole' Avian. They say two heads are better than one, and you could approach my Avian problem in a different angle. Even with quicker negaters out, Avian is still my favorite card, so I'd hate to give up on him so easily. Haha after reading your comment about Avian's declining use, I tried to see if I could salvage him in some deck. I think maybe I found a winner; the trick is it's mostly a Pendulum deck; Avian is the only Mist Valley card in it. Basically, you set the scale from 1 or 2 to 8 using Magician and Odd-eyes Pendulum cards, them summon Avian and other Pendulum Monsters to demolish foes. There's a bit more to it than that if you wanna discuss it sometime! I tend to be a go-with-the-flow type of guy, so when Pendulums came on the scene, I was like, "Well, this is a new mechanic in the game, it's here to stay, so let's see how I can use it to my advantage." So, yeah, you could say I like Pendulums, especially since Konami is improving other mechanics alongside them (Synchros, Fusions, Monarchs, Kozmos...lol). Yeah, I've been trying since the dawn of Pendulums to make them work with Avian. Stargazer and Timegazer along with Pendulum Call worked well... but I gave up on making a good Avian deck. There are just too many cards that do what he does now, but better (Toadally Awesome, Cyber Dragon Infinity...). It saddens me to say it, but Big Bird just isn't what he used to be anymore. But when I stomp people with Majespecters, I feel better ^_^. Oh! The problem isn't getting Big Bird, mind you, it's getting Mist Valley Thunderbird to the hand. There is no Wind or Thunder support that easily searches for him. He's the little guy that would make the dream more viable. Dragon's Mirror for sure! Hoping they still come up with creative new Fusion spells. I remember seeing one in the anime recently that let you Synchro and Fusion Summon with the same monsters! And heck yea, Mist Valley's fun. 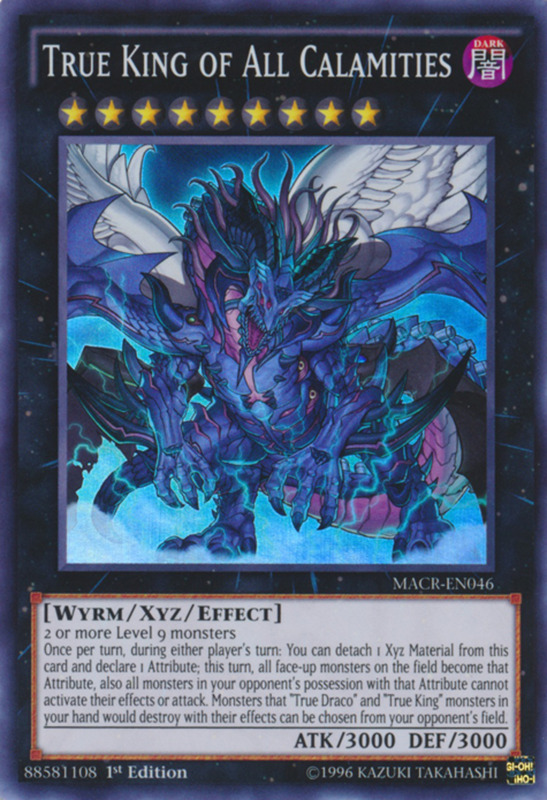 Not sure whether you love or hate Pendulum (people seem pretty divided on it), but Stargazer and Timegazer Magician are a great way to repeatedly summon Mist Valley Apex Avian. Thanks for commenting, fellow dueling-hubber ^_^! Yeah, dem Future Fusion plays, bru. Future Fusion to summon 5-Headed Dragon, then Dragon's Mirror to summon one on the spot... The card was a Foolish Burial on crack. Gold Sarcophagus and Necroface do make an annoying combination, but I can't believe I forgot about Swords of Revealing Light @_@! I used to run a Mist Valley deck, so you can only imagine the lovely shenanigans I got into with that card. It's definitely still one of my favorite Spells. Nice Hub man. I always thought Future Fusion was fun, but that's long been banned haha. Gold Sarcophagus and One Day of Peace come to mind, and of course Swords of Revealing Light.